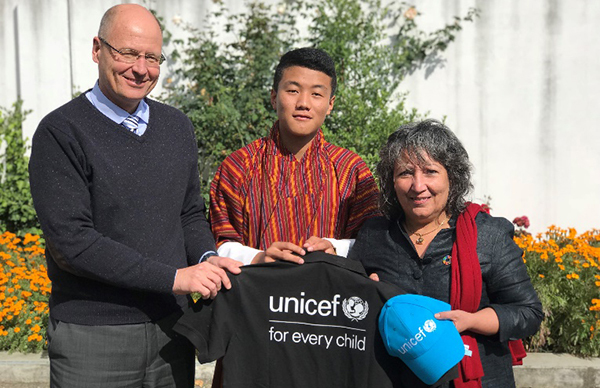 Popular Bhutanese singer and songwriter Sonam Wangchen has been announced as UNICEF National Youth Ambassador in Bhutan. 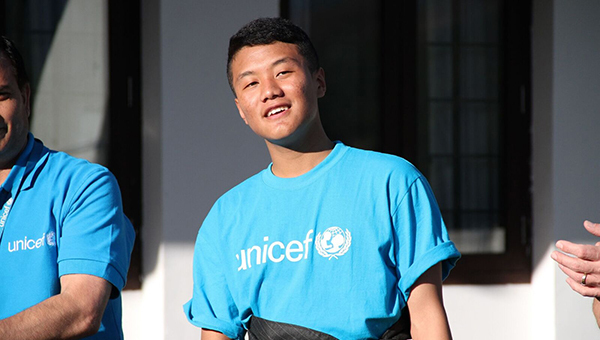 The appointment -marked on World Children’s Day- makes the 16-year-old UNICEF’s first ever Bhutanese national ambassador. In his role as UNICEF Youth Ambassador, Sonam will use his songs, popularity and digital presence to engage with young people and empower them to speak about the issues they face. Having been a victim of online impersonation, Sonam will speak on online safety and violence against children. Sonam shot to fame with his song called ‘choe thom da’ in 2015. Since then, he has performed at national events, charitable concerts and worked on original soundtrack for movies and, written and sung numerous hit songs. “As UNICEF Youth Ambassador, I really want to work together with young people, especially on issues we believe are important to us. Growing up online, for example,” he said. World Children’s Day – celebrated on 20th November – is a global day of action ‘for children, by children’ to raise awareness and funds for the millions of children that are unschooled, unprotected and uprooted. UNICEF is inviting the public to go online and sign a global petition asking leaders to commit to fulfilling the rights of every child now and for future generations, so that every child is in school, safe from harm and can fulfil their potential. As part of the day, UNICEF is asking supporters to raise their voices in solidarity with the most disadvantaged and vulnerable children by helping ‘turn the world blue’ – by doing or wearing something blue at school, on the streets, on social media, in boardrooms and on sports fields on 20 November. Alongside Sonam Wangchen in Bhutan, Emmy-nominated actress Millie Bobby Brown has been announced as UNICEF’s newest and youngest ever Goodwill Ambassador. In addition, countries around the world will appoint UNICEF Youth Ambassadors. 18-year-old Wang Yuan is UNICEF China Ambassador, athlete Hima Das, 18, is UNICEF India Ambassador, and television presenter Hinna Asefi Wardak, 15, is UNICEF Afghanistan Ambassador. UNICEF works in some of the world’s toughest places, to reach the world’s most disadvantaged children. It has presence in 190 countries and territories, working for every child, everywhere, to build a better world for everyone.